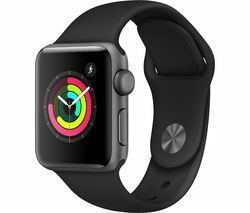 Get more out of your iPhone with Apple Watch, a smart wearable gadget that lets you track your fitness with heart rate monitoring, stay on top of social media, respond to texts, and more. Thanks to a reliable processor and powerful GPU, Apple Watches are capable of fast and smooth performance so that your apps launch instantly. With QR you can make contactless payments from your watch. Integrated GPS enables you to map your run, and you can even check into a flight – all without touching your iPhone. And because the newer second series models are waterproof, you can go swimming and withstand a heavy downpour without worrying about a thing. 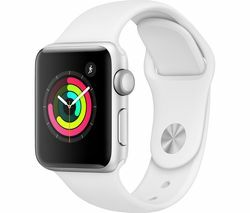 The Apple Watch has an advanced activity tracker that records movement, exercise and how long you’ve been standing. Your progress is displayed in three colourful circles so that you can check the overview in a moment – all you have to do is close the circles to reach your targets. Apple Watches have bright, easy to read displays so that even if the sun is shining you can see your information clearly. 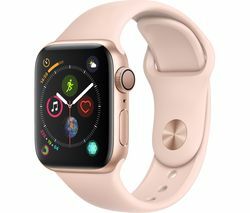 There are a variety of watch cases, band materials, sizes, and colours, so you can find the perfect Apple Watch to suit your style, even with designer options available for an extra touch of luxury. All Apple Watches also come with a choice of watch faces, so that you can personalise every element. 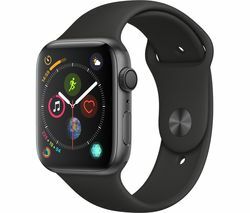 With access to all your most used apps packed into a compact, lightweight and stylish design, the Apple Watch is a great addition to your iPhone.